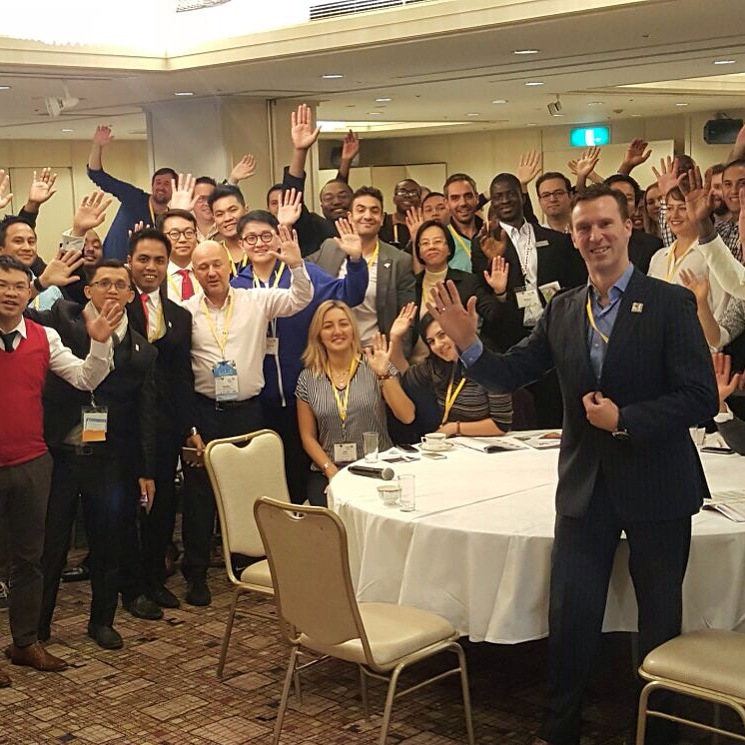 As the JCI Ambassador, I was invited to give an intensive entrepreneurship training course at the JCI World Congress on 4 November for entrepreneurs from over 60 countries. More than 150 entrepreneurs of the JCI attended the course, called Startup Compass: The Entrepreneurial Journey from Wannapreneurship to Angel Investment. Participants came from every continent, and from countries ranging from Zimbabwe to Belgium, from the US to Australia, from Japan to Jordan. 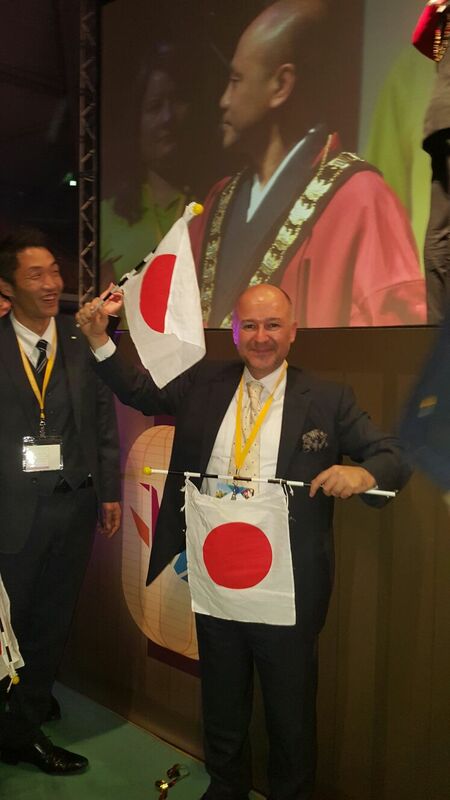 The JCI hosted more than 8000 delegates from over 150 countries at its World Congress this year in Kanazawa, Japan. The event was opened by H.R.H. Princess of Japan, a special speaker. The gala dinner, hosted by the Japan Presidency, was one of the most sophisticated gala dinners I have ever attended, with the participation of over 500 VIP guests. 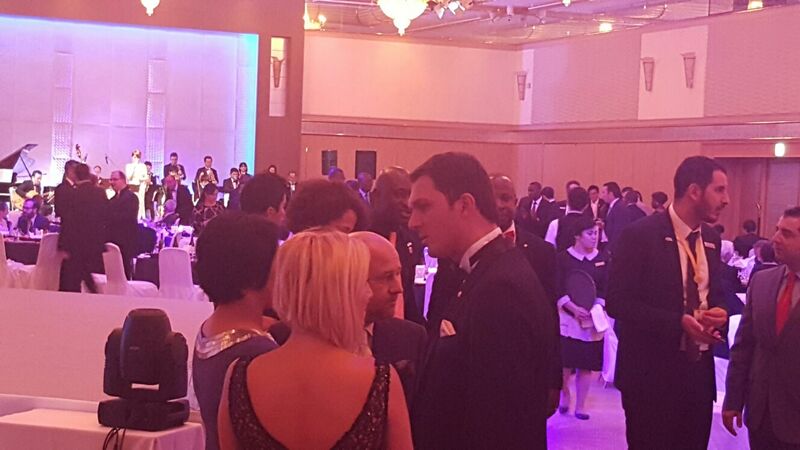 These VIP guests were mainly JCI presidents and board members from each country. 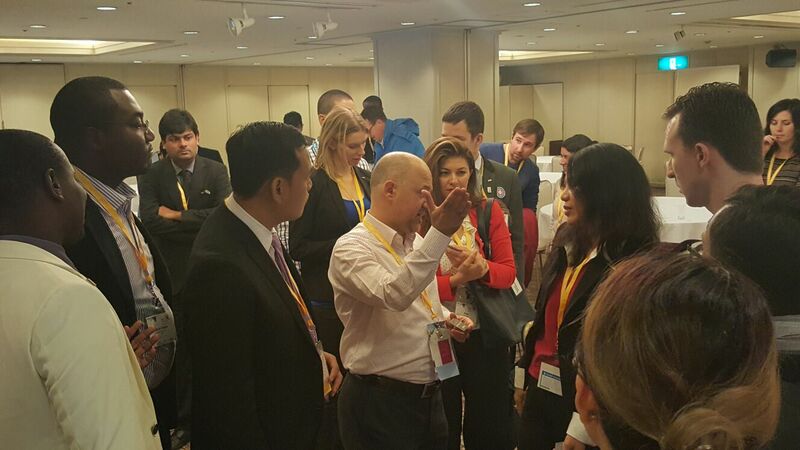 Ismail Haznedar and Ms Haznedar, Global President of JCI greeted each guest with a warm welcome. As one of the 8 JCI Ambassadors, I felt a great responsibility to give some insights to the JCI community’s startups and entrepreneurs on how to develop finance skills. JCI is a worldwide organisation aiming to create social change by encouraging young people to think about the future of the world and how they can create a social impact in their societies. Modern Japan’s economic growth began in the Edo period. Some of the surviving elements of the Edo period are roads and water transportation routes, as well as financial instruments such as futures contracts, banking and insurance of the Osaka rice brokers. During the Meiji period from 1868, Japan expanded economically with the embrace of the market economy. Many of today’s enterprises were founded at the time, and Japan emerged as the most developed nation in Asia. The period of overall real economic growth from the 1960s to the 1980s has been called the Japanese post-war economic miracle: it averaged 7.5 percent in the 1960s and 1970s, and 3.2 percent in the 1980s and early 1990s. Growth slowed in the 1990s during what the the “Lost Decade” due to after-effects of the Japanese asset price bubble and government policies intended to wring speculative excesses from the stock and real estate markets. Efforts to revive economic growth were unsuccessful and further hampered by the global slowdown in 2000. The economy recovered after 2005; GDP growth for that year was 2.8 percent, surpassing the growth rates of the US and European Union during the same period. As of 2012, Japan is the third largest national economy in the world, after the United States and China, in terms of nominal GDP, and the fourth largest national economy in the world, after the United States, China and India, in terms of purchasing power parity. As of 2014, Japan’s public debt was estimated at more than 200 percent of its annual gross domestic product, the largest of any nation in the world. In August 2011, Moody’s rating has cut Japan’s long-term sovereign debt rating one notch from Aa3 to Aa2 inline with the size of the country’s deficit and borrowing level. The large budget deficits and government debt since the 2009 global recession and followed by earthquake and tsunami in March 2011 made the rating downgrade. The service sector accounts for three quarters of the gross domestic product. Kanazawa was one of the few major Japanese cities to be spared USAAF fire bombing during World War II. As a result, Kanazawa’s considerable architectural heritage has been preserved. The name “Kanazawa” (金沢), which literally means “marsh of gold”, is said to derive from the legend of the peasant Imohori Togoro (lit. “Togoro Potato-digger”), who was digging for potatoes when flakes of gold washed up. The well in the grounds of Kenrokuen known as ‘Kinjo Reitaku’ (金城麗澤) was recreated by the Maeda lords to acknowledge these roots. The area where Kanazawa is was originally known as Ishiura, and the Ishiura Shrine near Kenrokuen is a remnant of this period. The centre of the castle town was the castle. While many castle towns in Japan had the castle placed to one side of the city, Kanazawa spread out concentrically from the castle site. Kanazawa Castle itself largely burned down in 1888, but there are a few buildings remaining, notably the Ishikawa Gate and the Sanjikken Longhouse, and one large section has been painstakingly rebuilt to authentic standards of construction. The castle site dates back to the fifteenth century, when it was the centre of power for the Ikkō-ikki, which was a Buddhist sect that had overthrown the old regional governors, the Togashi clan, and established what is called “The Peasants’ Kingdom” in the district of Kaga, the southern part of present-day Ishikawa Prefecture. During the fifteenth century, the powers of the central Shoguns in Kyoto was waning, and their regional governors were assuming even greater powers, carving out their own little fiefs. 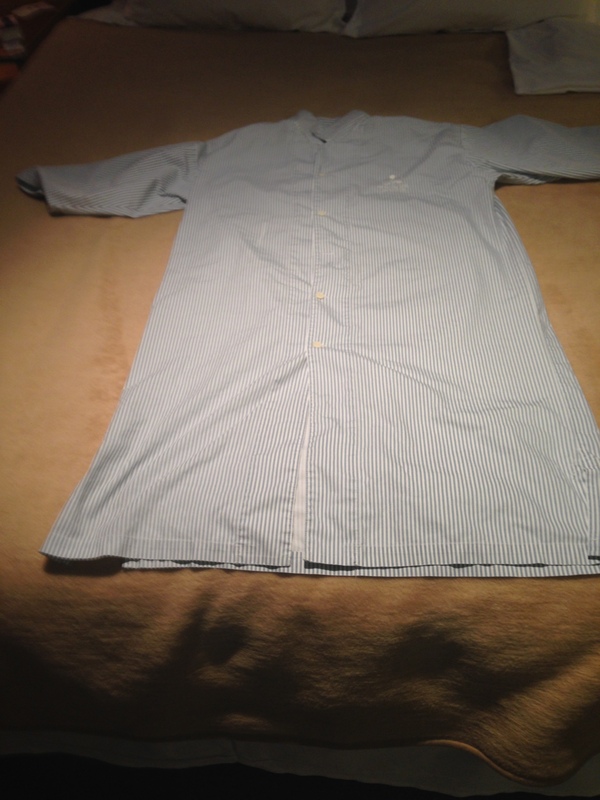 In Kaga, the priest Rennyo, of the Jodo Shinshu sect, arrived in the Kaga region to proselytise. 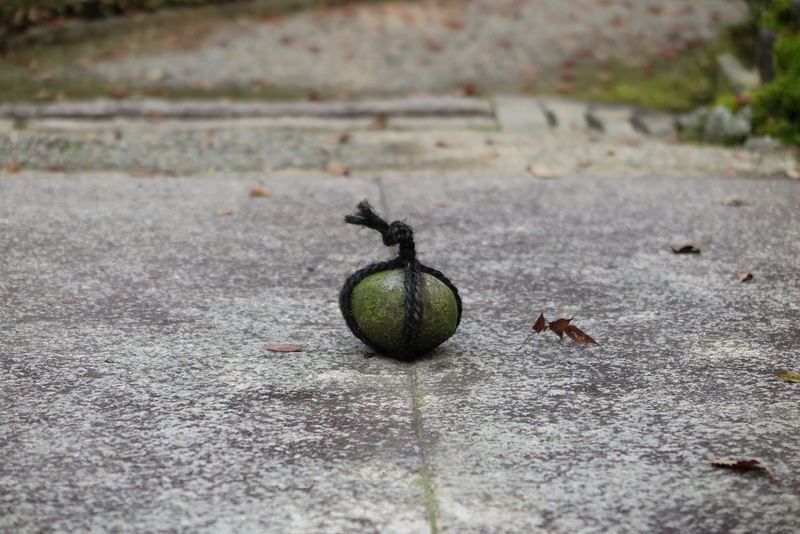 Rennyo’s brand of Buddhism quickly spread among the samurai and peasants. The followers of Rennyo were only loosely under the control of the central Honganji in Kyoto, and were known as the Ikko sect, the “Single-Minded” sect. At the time, due to the diminishing power of the hereditary regional governors, the Togashi, central control over the region was weak, which allowed groups of Rennyo converts to increase their political ambitions, leading to the suicide of the last Togashi governor in 1488. Founded in 1944 and based in St. Louis, Missouri, USA, the Junior Chamber of Commerce International (JCI) is a non-profit international non-governmental organisation with chapters in 182 countries and now has more than 200,000 members worldwide. Through projects in more than 5,000 communities in more than 100 countries, members seek targeted solutions to local problems, creating a global impact. It has consultative status with the Council of Europe, and with the Economic and Social Council of the United Nations and UNESCO. It encourages young people to become responsible citizens and to participate in efforts towards social and economic development and international co-operation, good will and understanding. It publishes JCI World, a quarterly magazine in six languages. 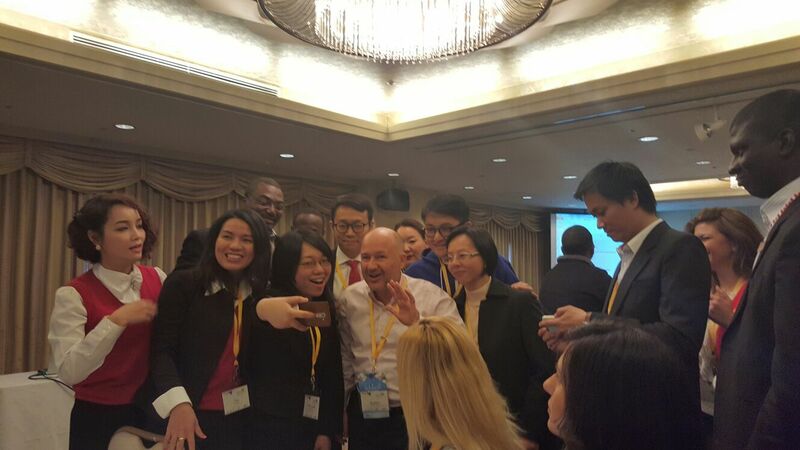 It holds an annual meeting, the JCI World Congress, in November of each year, as well as regional annual meetings. Startup Compass shows every entrepreneur the right way to proceed on his entrepreneurship journey, from beginning to end. The various stages are referred to as the rising steps of successful entrepreneurship. The Startup Compass is like the four seasons of the year. The first season is the level of wannapreneurship. 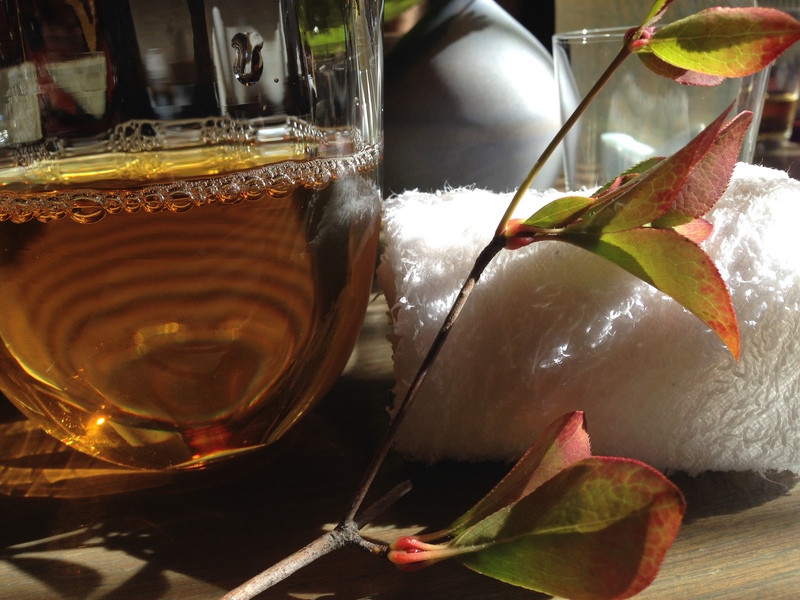 The second season is the stage of starting up a business. This stage has three important sub-steps: innovation, entrepreneurship, and marketing and sales. The third season is the growth stage, which includes branding, institutionalisation, and franchising. Lastly, the fourth season is the maturity stage: leadership and angel investment. Startup Compass also shows how to initiate a business from scratch. It clearly shows that, if you are a real and smart entrepreneur, you don’t need finance to start your business. You just need a network and an ability to see the idle capacity of your network. 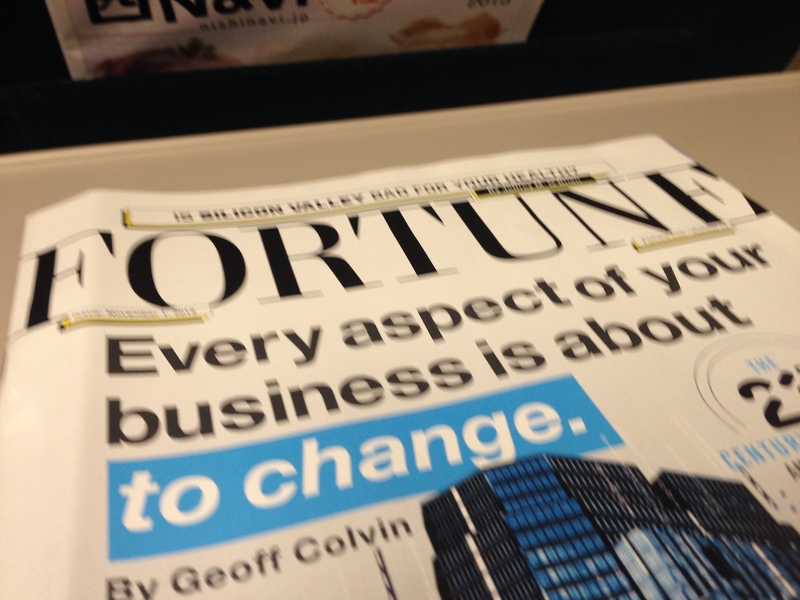 Creating a tailor-made business model for a business in your network will be a win-win situation. The Altuntas Compass for Startups helps participants adjust their mind-set in a way that can lead to becoming their own business angel by following the principles of the Startup Compass with the Startup Compass roadmap in hand. Follow the rising steps of the entrepreneurial journey from scratch to angel investment. Learn how to convert idle capacity to cash to initiate your business from scratch. In this intensive course, I give wannapreneurs and entrepreneurs the key details of each step of the entrepreneurship journey. I note what I did at each stage by giving examples from my life story, and I ask participants to write down what they have done so that they can determine their level of entrepreneurship. As a matter of fact, I want participants to write their own entrepreneurship story. I did it; they can do it too! I have grouped all the steps, from beginning to end, that an entrepreneur will take during his entrepreneurship journey. I refer to those steps as the rising map of successful entrepreneurship.. This map, which I produced for world-class entrepreneurs, is used in workshops and in training programs of numerous universities. My way of doing business is captured in the concept I call Converting Idle Capacity Into Cash®, which has been examined by many academicians and featured in internationally refereed journals in management; it is referred to as the Altuntas Compass for Startups by academic researchers. I am happy to be not just a role model for entrepreneurs but also a source of inspiration for academicians to study and discover unique and beneficial methods for entrepreneurs. In this short course, Baybars will take you through all the steps, one by one, and show you how to change your mind-set. He’ll help you understand how to use and develop the skills you already have so that you too, like he so cleverly did, can convert idle capacity into cash. Academicians refer to his unique concept as ‘the Altuntas Compass for Startups’, which will start you out on the path to a successful entrepreneurship academy. You’ll learn to use his roadmap to success, whether you are already an entrepreneur or still at the wannapreneur stage. In this academy, you’ll learn how to proceed from wannapreneurship, to innovation, to entrepreneurship, to marketing and sales, to institutionalisation, to branding, to franchising, to leadership and finally to angel investment. More importantly, you’ll learn how to make use of unused capacity to start a business. You’ll see how Altuntas started with virtually nothing and made millions in a relatively short time. October 29 is a national holiday in Turkey — Republic Day — and the three-day holiday gave me an opportunity to organise a short trip with my family. 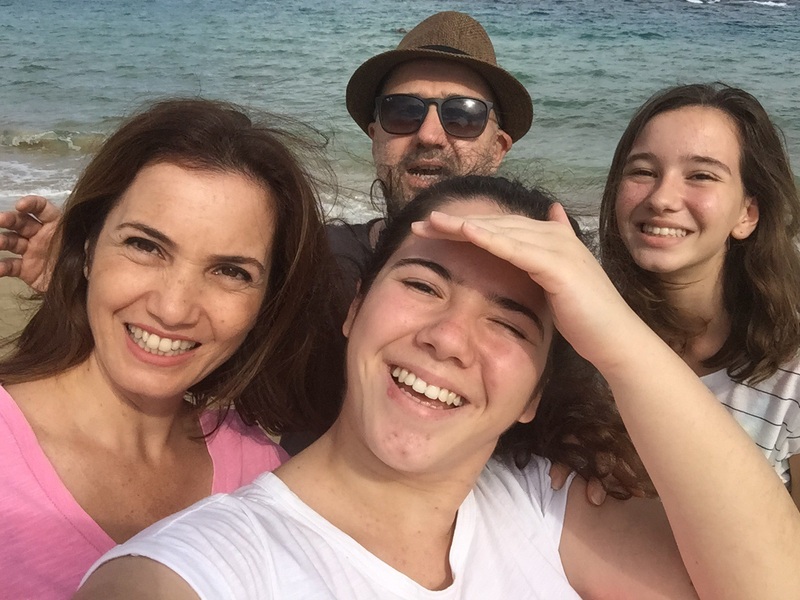 Alara, my daughter studying at Bilkent University, flew from Ankara and we all met in Adana to fly to Nicosia, Cyprus to enjoy a holiday at the Palm Beach Hotel of Famagusta. Because my younger daughter studies at the Tarsus American College in Adana, in the south of Turkey, we flew from there to Nicosia, just 35 minutes away. After our short holiday, we flew back to Adana to cast our votes in the elections on Sunday, 1 November. The same day, I took the 8.25pm flight from Adana to Istanbul and waited in the business class lounge of Turkish Airlines to connect with my 02.05am flight to Tokyo. After a comfortable 10.5-hour flight to Narita Airport of Tokyo, a nice surprise was waiting for me in my email inbox. I love such surprises very much indeed! 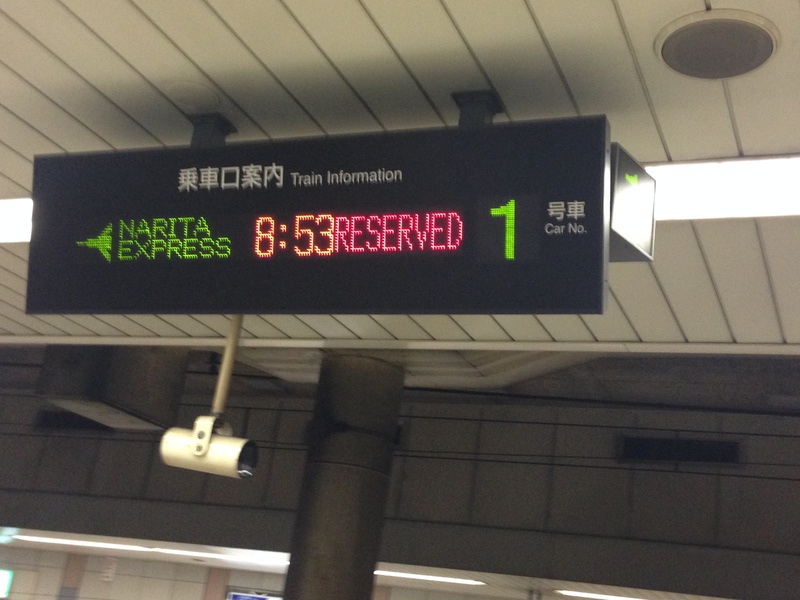 I arrived at the Narita Airport of Tokyo at exactly 8pm and I was in my room reserved by Carlos at 9pm. The hotel was nice and breakfast was excellent. In case you need a five-star hotel with small rooms and good facilities, you can use this hotel. 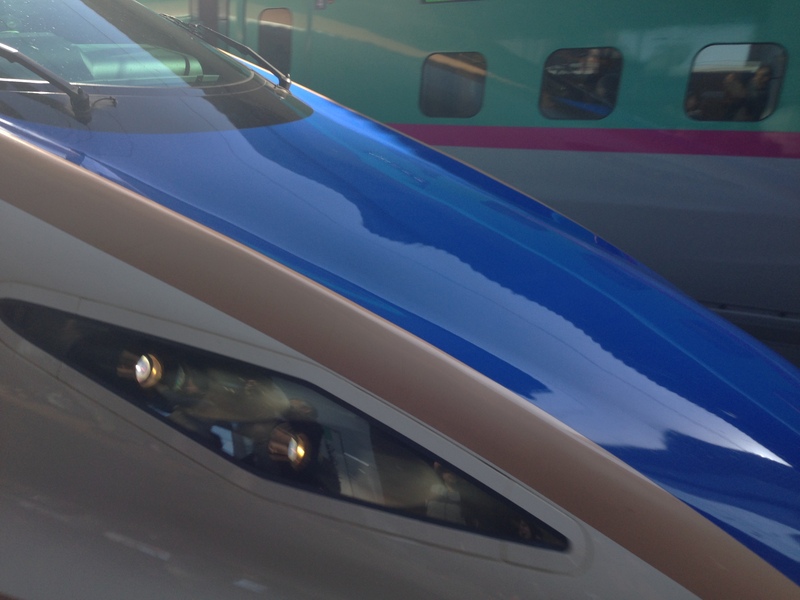 13.01: Go to the Ana Crown Hotel located at the Kanazawa Train Station. I implemented the timetable proposed by the hotel concierge, down to the minute. I got up at exactly 6.30am and followed all the instructions on my list. 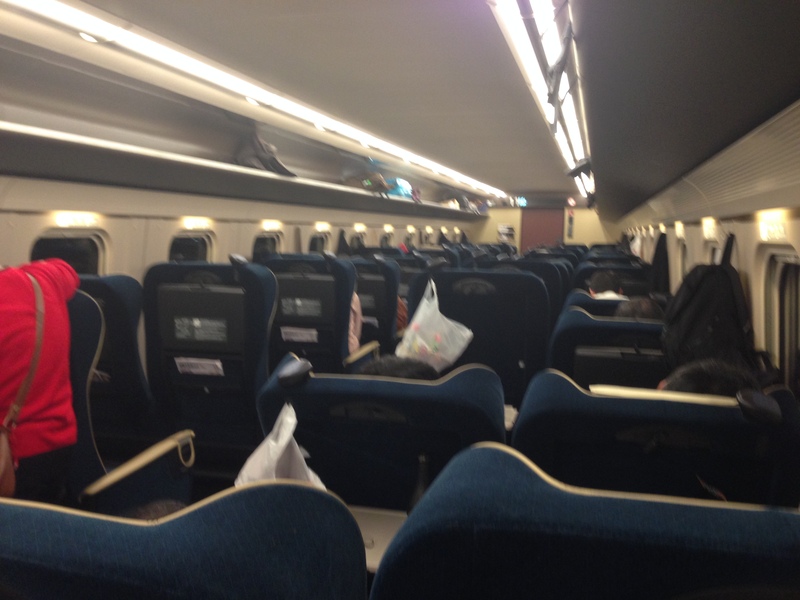 After a breakfast, which included boiled rice, I took the shuttle bus to the train station. Finding English-speaking staff is very important to getting your requests understood correctly. Japanese people are very respectful and you enjoy the hospitality of the staff and local people at the airport, hotel — everywhere in the country, in fact. 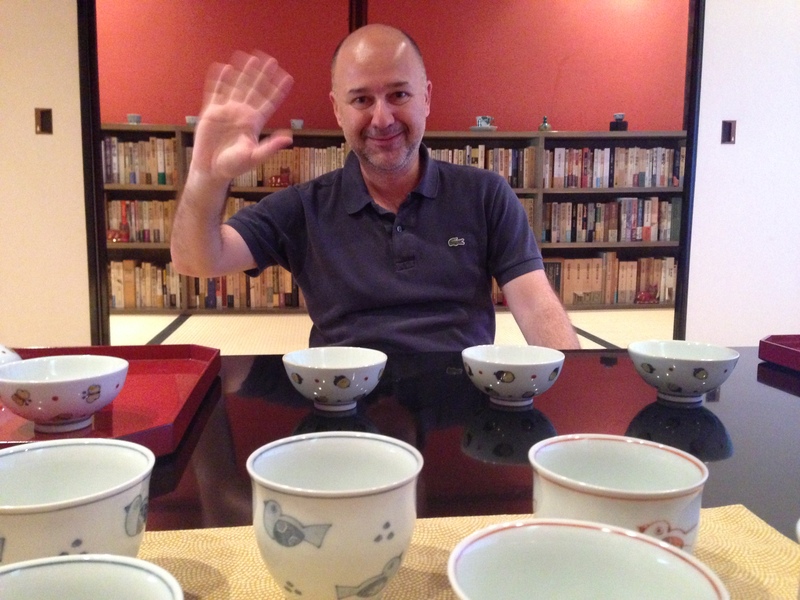 We Turks are proud of our reputation for generous hospitality, but Japanese hospitality can easily compete with the Turks’ hospitality, and may even be the winner of the competition. 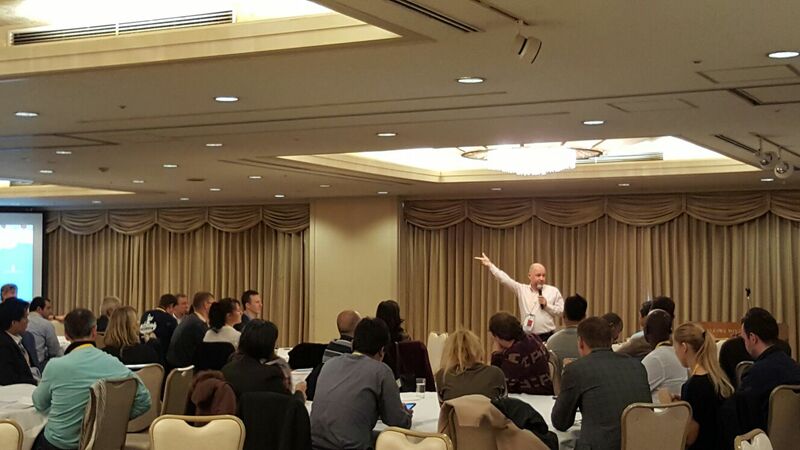 However, many participants of the congress were surprised by the fact that not many Japanese seem to speak English. Most speak only Japanese. To tell you the truth, I was not so surprised because I come from a country where we have the same problem. I think this may be a particular feature of countries that were never ruled by other nations. So people of such countries, like Turkey and Japan, never had to communicate with other people in a language other than their native language. Now, globalisation has created an excellent opportunity for entrepreneurs: setting up English language courses in such countries! My personal note: As you may know I am the owner of Deulcom International in Turkey – an English language course chain with 17 schools in Turkey and North Cyprus. 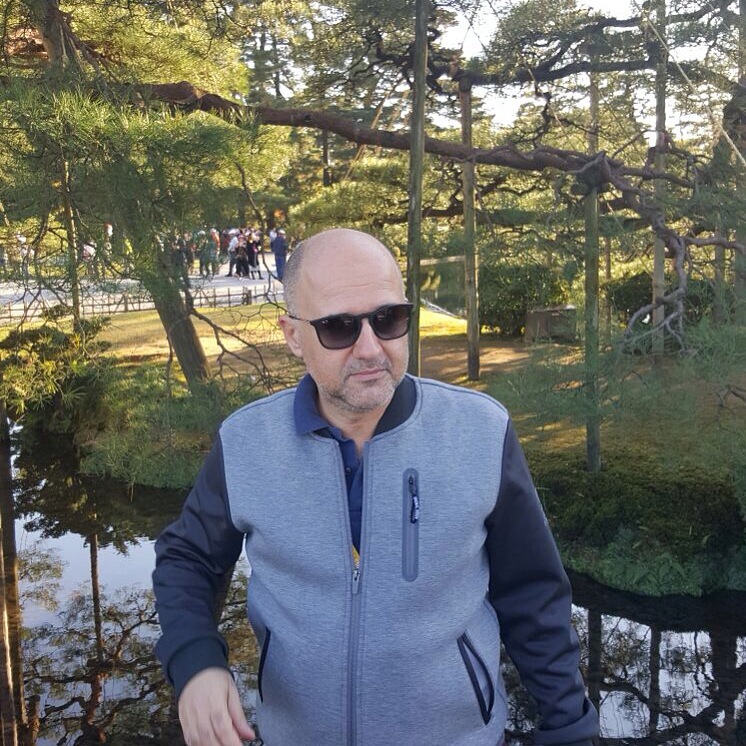 This is my 23rd year in the language teaching business and I have to confess that it is very difficult to teach English in countries like Turkey and Japan because there is no English-speaking environment except at holiday resorts. 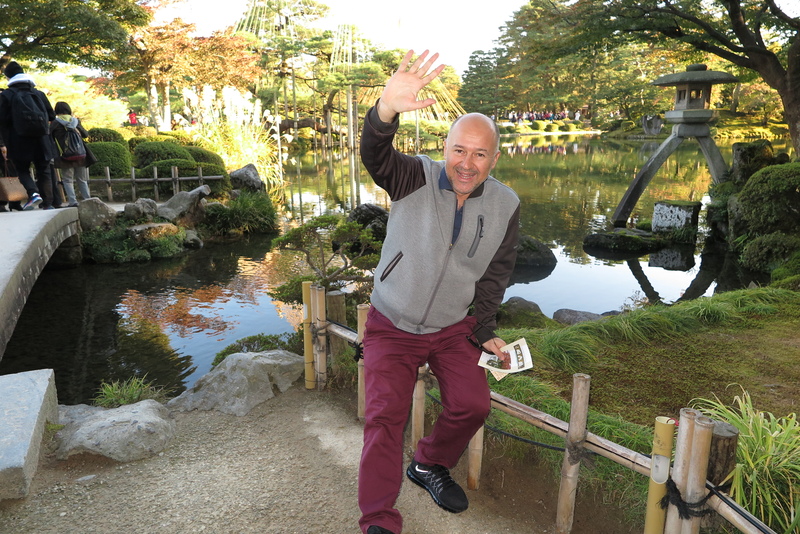 After a nice travel from the Tokyo station to Kanazawa and enjoying the landscapes of Japan from my window on the train on a sunny day, I arrived in Kanazawa – a beautiful city facing the Chinese Sea. Last week I was in Hangzhou City, China and was looking towards Kanazawa from the other side. Now I was looking at Hangzhou from Kanazawa. 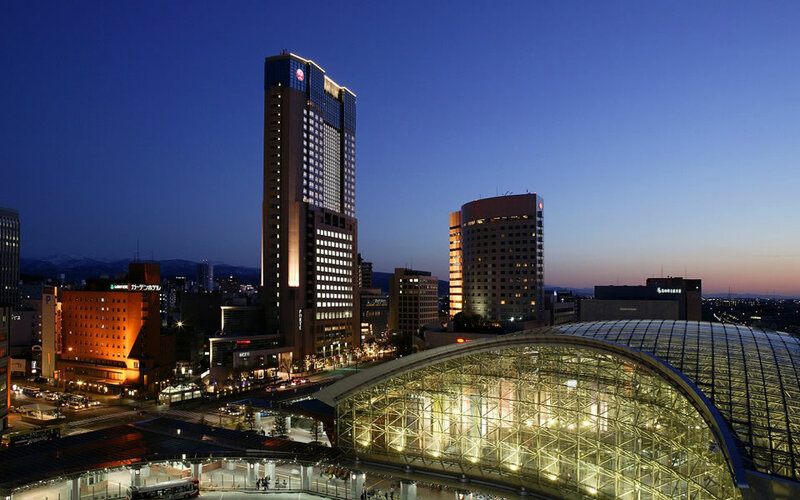 I was at the Ana Crowne Plaza Hotel near the station but, because the train station of Kanazawa is in the city centre, there are also other alternatives in the same area within 1 minute’s walking distance from the station. The Ana Crowne Hotel was the venue for the JCI World Congress and I was hosted by JCI on the same floor as the JCI Global President and other national JCI presidents. 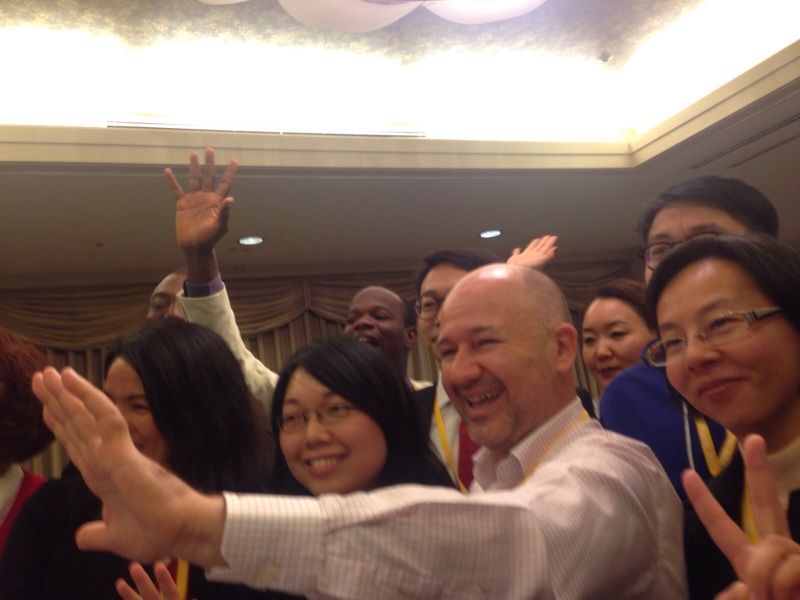 I enjoyed the hospitality of JCI immensely. 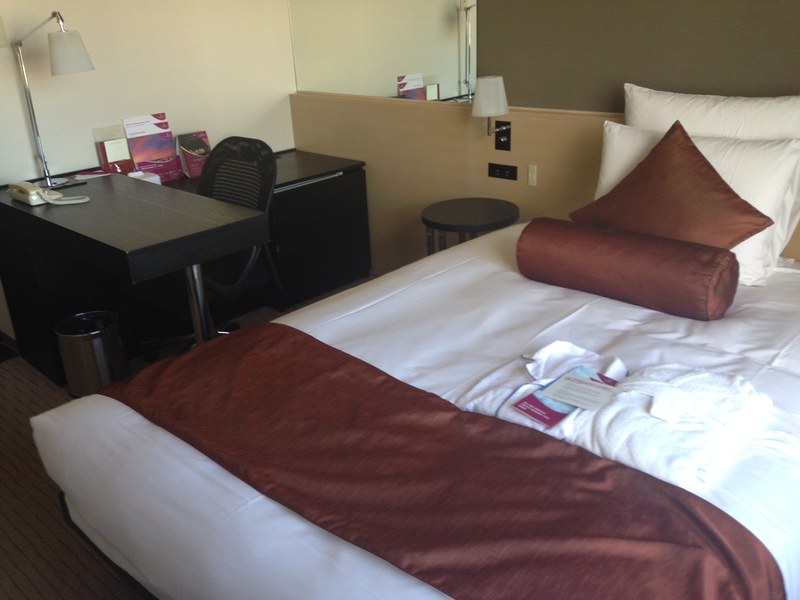 If you are visiting the city for touristic purposes I think it might be a better idea to stay at another hotel, because the Ana Crowne Plaza is a conference-oriented business hotel. 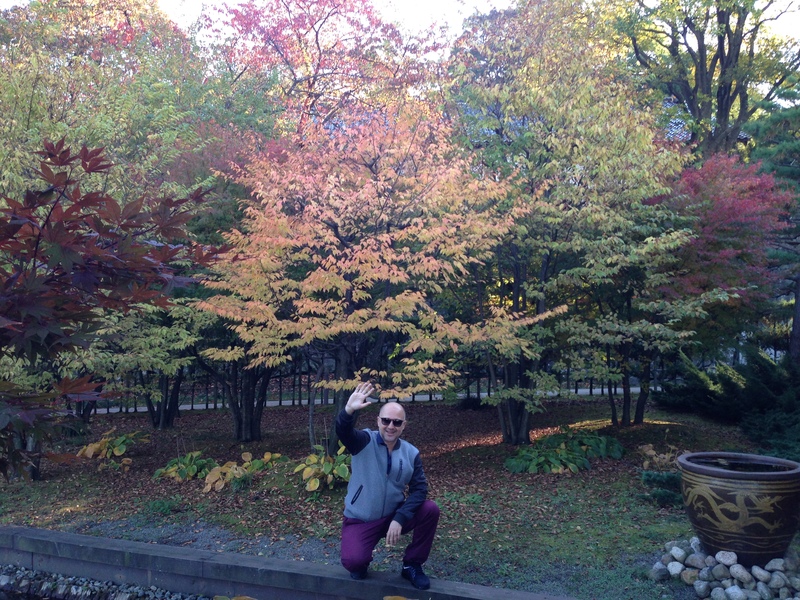 Here is the link for the Nikko Hotel, which I advise you to experience in case you go Kanazawa on holiday. It is a super-star hotel and very central, just across the street from the train station. However, I had a nice city view and the room was comfortable. After leaving my belongings in my room, I was back at the lobby to catch the bus transfer to the Presidential Reception at the Ishikawa Industrial Exhibition Center JCI Global President Ismail Haznedar and Ms Haznedar welcomed all invitees. By the way, there was a 22-member Turkish delegation attending this year’s congress. After the reception, it was time to attend the Official Opening Ceremony of the JCI Congress 2015 with the participation of 8000 delegates and where I listened to the welcome speeches of Princess of Japan, Masanori Tanimotothe Kawasaki – Governor of Ishikawa Prefecture, Yukiyoshi Yamano – Mayor of Kanazawa, Ismail Haznedar – the JCI Global President, Kosuke Luca Shibata – the JCI Japan President, and Norihide Bob Suzuki, the Chair of the Congress. 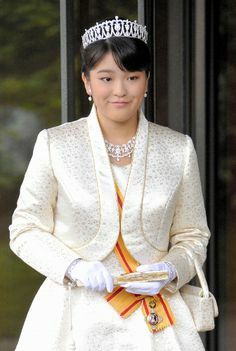 Princess Mako of Akishino (眞子内親王 Mako Naishinnō, born 23 October 1991) is the elder daughter of Fumihito, Prince Akishino and Kiko, Princess Akishino, and a member of the Japanese Imperial Family. She is the first-born granddaughter of the reigning Emperor Akihito and Empress Michiko. 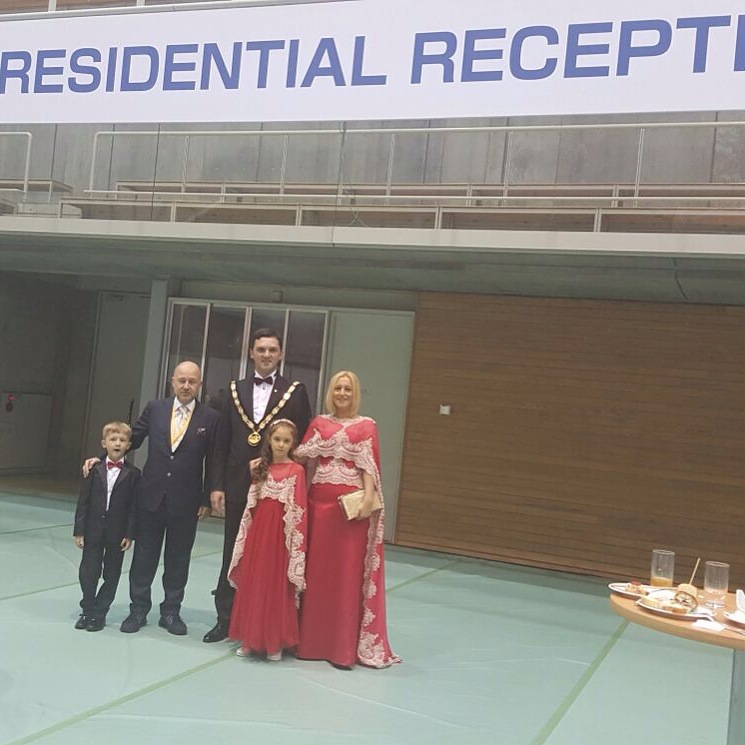 The official opening was announced by Ismail Haznedar after a procession of the national president from each of 150 countries. It was very interesting to see in this ceremony that the first national JCI chapter out the USA was Honduras. I moved to Miyako Hotel with Ece, my appointed personal assistant just for Thursday for the course I would run between 10.30 and 12.30. 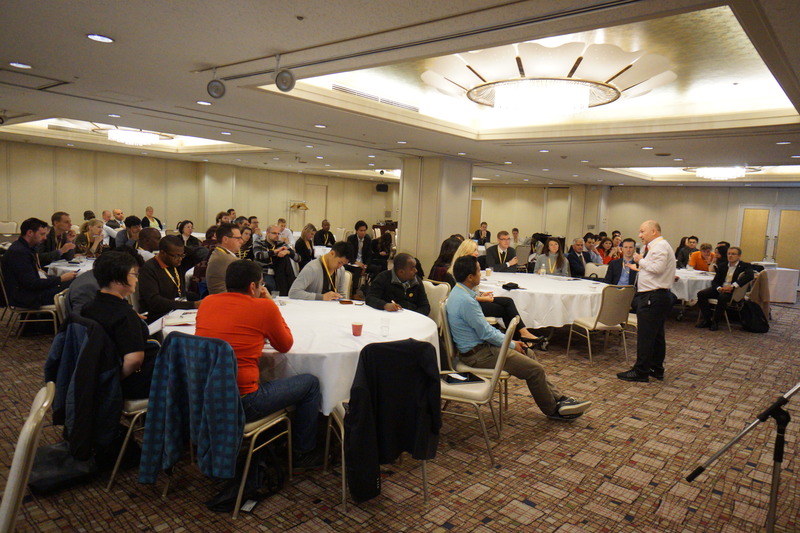 The conference room ( Kaga East & West) was the hotel’s one of the biggest room, on the 4th floor of the hotel, and I had roughly 150 participants for this course. At the end of the session, I took questions from the delegates of Jordan, Zimbabwe, Belgium, and New Zealand. I particularly enjoyed the great energy and contributions of the Jordan team. It was very clear that Jordan is on its way to becoming a regional entrepreneurship hub. 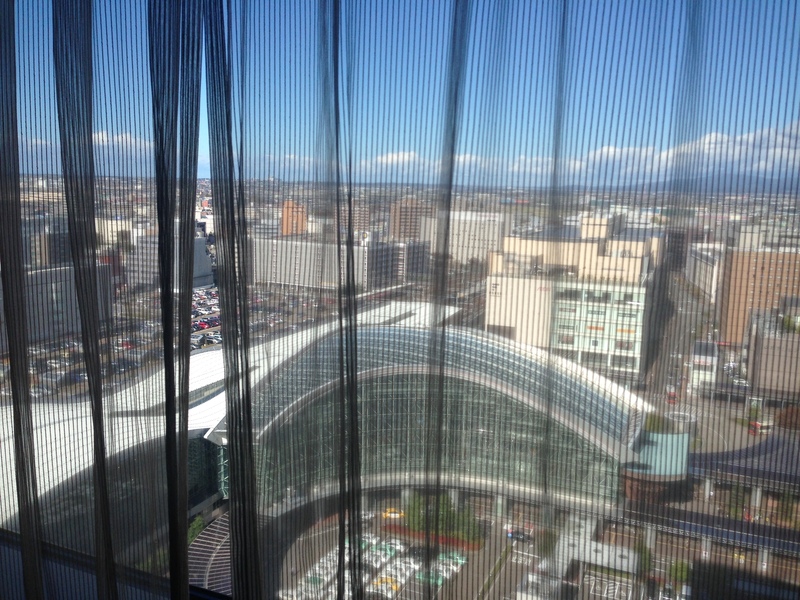 After the course, I went to the hotel lobby to catch a Kanazawa city tour from 1pm to 5pm. 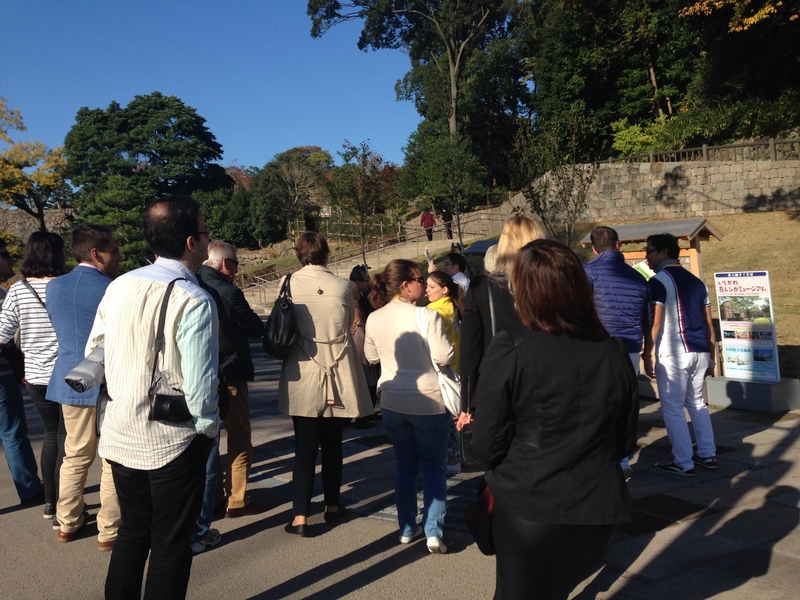 It was a lovely tour with friends from Turkey (Ece, Sefa, Ms Shell, Ms X1, ms X2, Bora), friends from Tunisia, the Philippines, Belgium, and so on. Old Omicho Market: It was established about the middle of the 18th century. 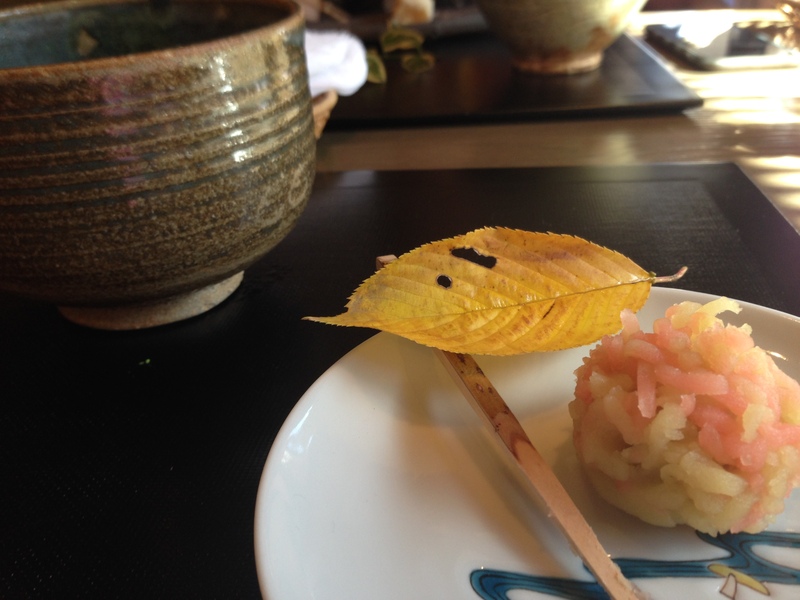 Since then, it has been supporting the gastronomic culture of Kanazawa for more than 280 years. 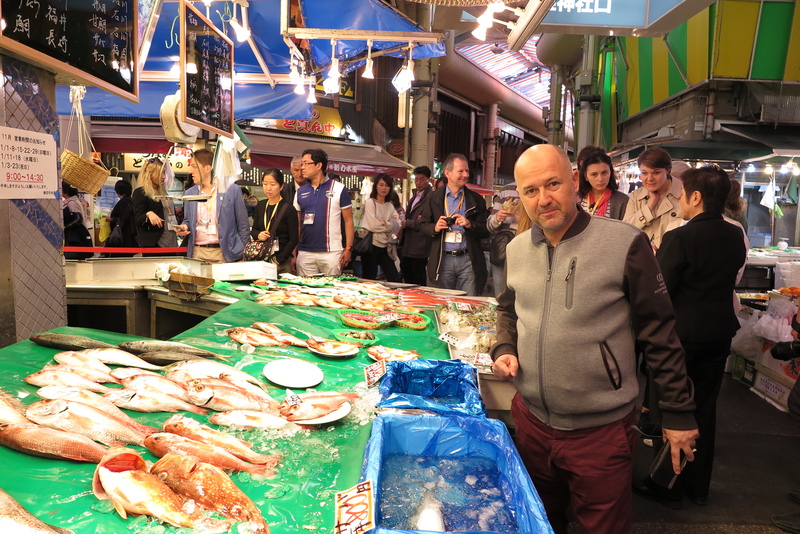 There are as many as 170 stores including a large number of fish stores that sell fresh fish and seafood caught in the Sea of Japan, vegetable stores that sell unique Kaga vegetables, fruit stores, dried food and marine product stores, grocery stores, and clothing stores besides restaurants. 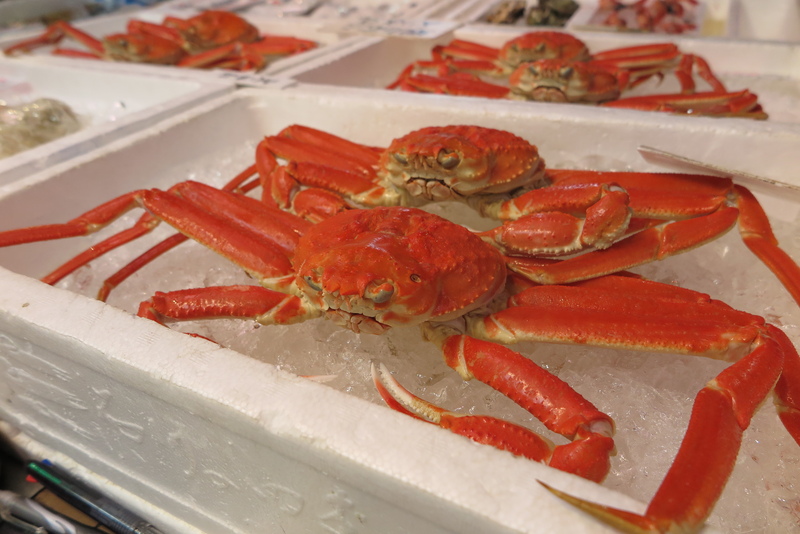 Crabs, yellowtail, and small shrimp from the Sea of Japan that are sold around November, in particular, are highly evaluated in Japan. The market is crowded with residents and tourists during the season. More than 10 tenants including restaurants and drugstores are in operation in the redevelopment building named Omi-cho Ichibakan. 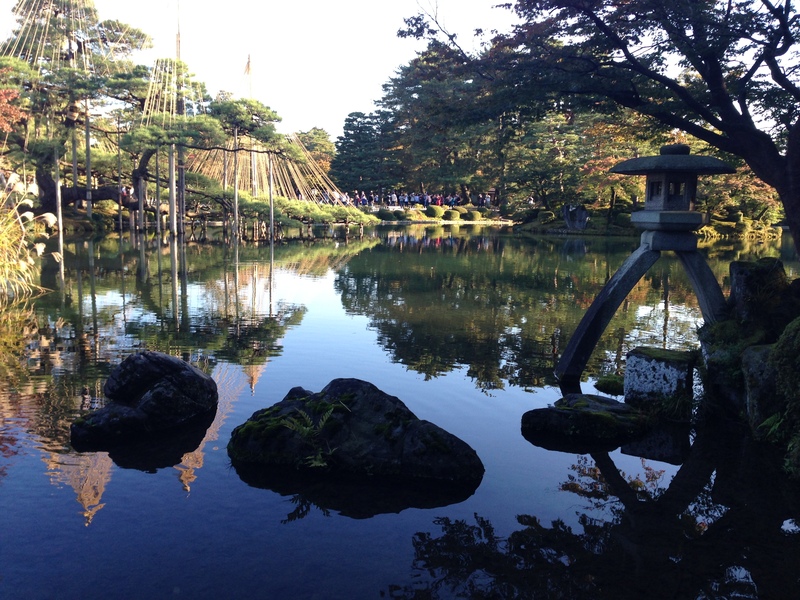 Kenrokuen Garden: Kenrokuen Garden is by far the most famous part of Kanazawa. 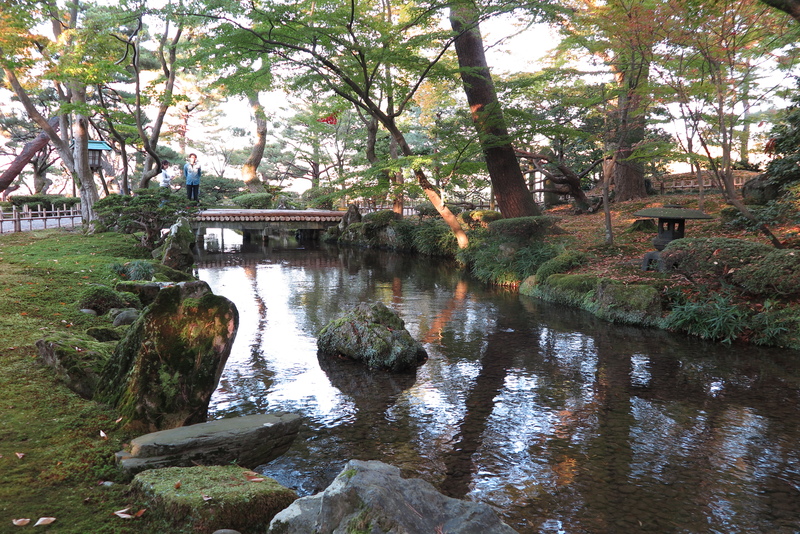 Originally built as the outer garden of Kanazawa castle, it was opened to the public in 1875. It is considered one of the “three great gardens of Japan” and is filled with a variety of trees, ponds, waterfalls and flowers stretching over 25 acres (10 ha)). In winter, the park is notable for its yukitsuri – ropes attached in a conical array to trees to support the branches under the weight of the heavy wet snow, thereby protecting the trees from damage. 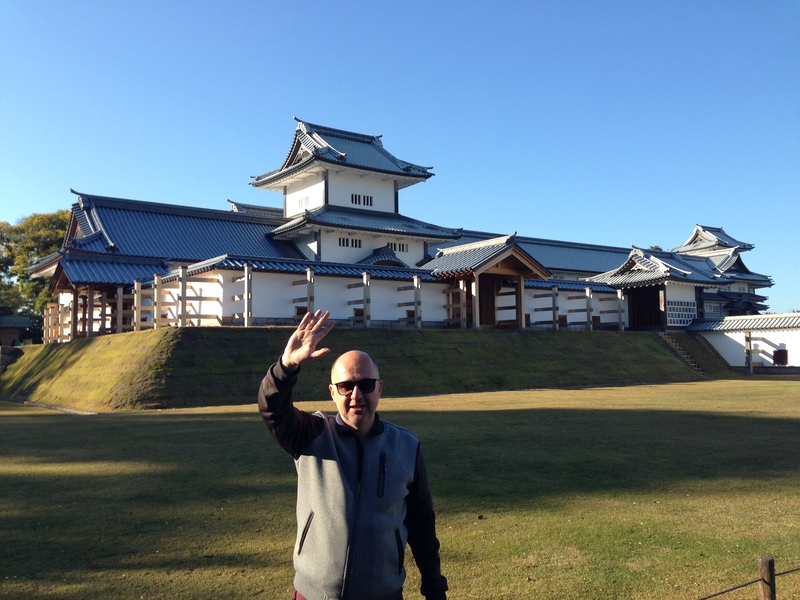 Kanazawa Castle: Outside Kenrokuen is Ishikawa-mon, the back gate (karamate-mon) to Kanazawa Castle. The original castle was largely destroyed by fire in 1888 but part of it was partially restored as of 2001, with more to come. There are plans to re-create much of the original castle grounds, including some surrounding areas. 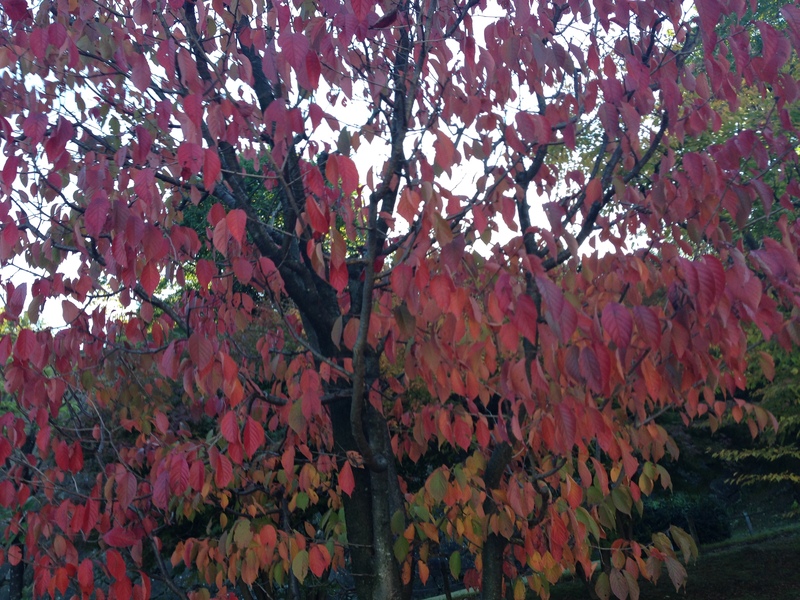 The Seisonkaku Villa was built in 1863 by a Maeda lord, Maeda Nariyasu (13th Lord) for his mother, Takako. 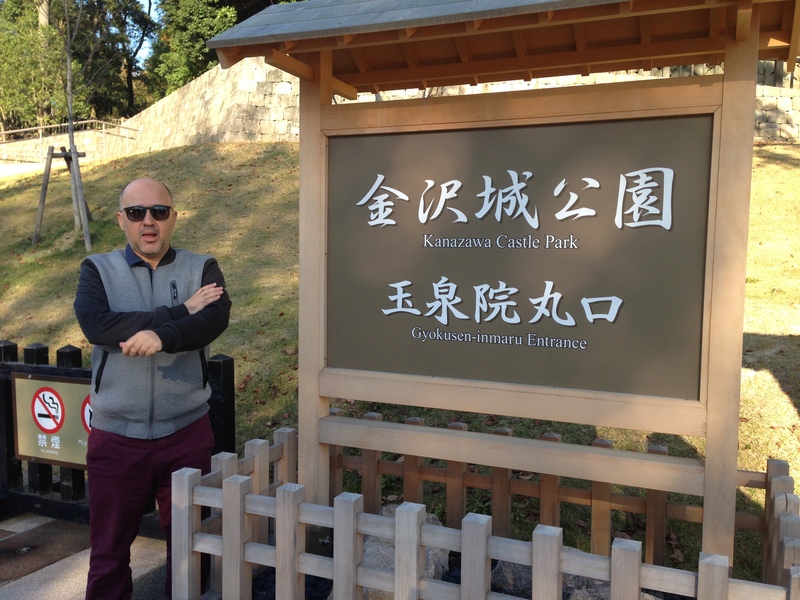 It was originally called Tatsumi Goten (Tatsumi Palace). Much of it has been dismantled, but what remains is one of the most elegant remaining feudal lord villas in Japan. 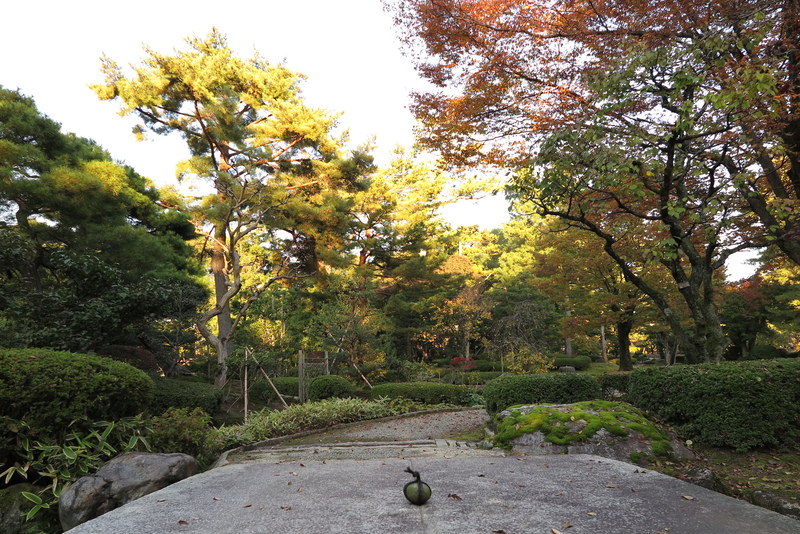 The villa stands in a corner of Kenrokuen; separate admission fees (¥700) apply. Notable features are the vividly coloured walls of the upper floor, with purple or red walls and dark-blue ceilings (red walls—benigara—are a Kanazawa tradition), and the custom-made English carpet in the audience chamber. 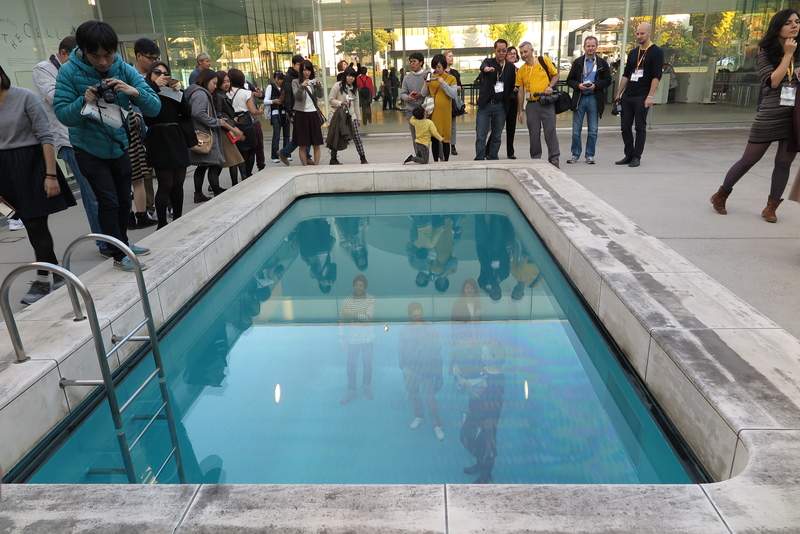 21st Century Museum of Contemporary Art: Kanazawa seeks to present the world’s contemporary art from an independent standpoint and far-sighted perspective. 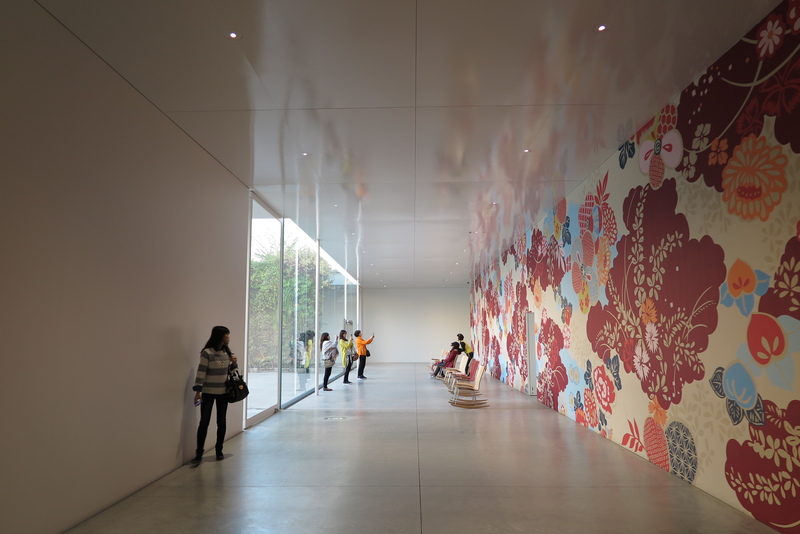 Designed by SEJIMA Kazuyo + NISHIZAWA Ryue / SANAA, two architects who have received international acclaim, the Museum features a unique circular design and elegant galleries white in tone. When we returned to the hotel at 5pm, Bora, Sefa and I went to a traditional meat restaurant where we would taste a famous Japanese meat dish (I don’t remember the name). This is a very special meat which comes from specially-fed cows. The cows get massages before they become a meal for us. 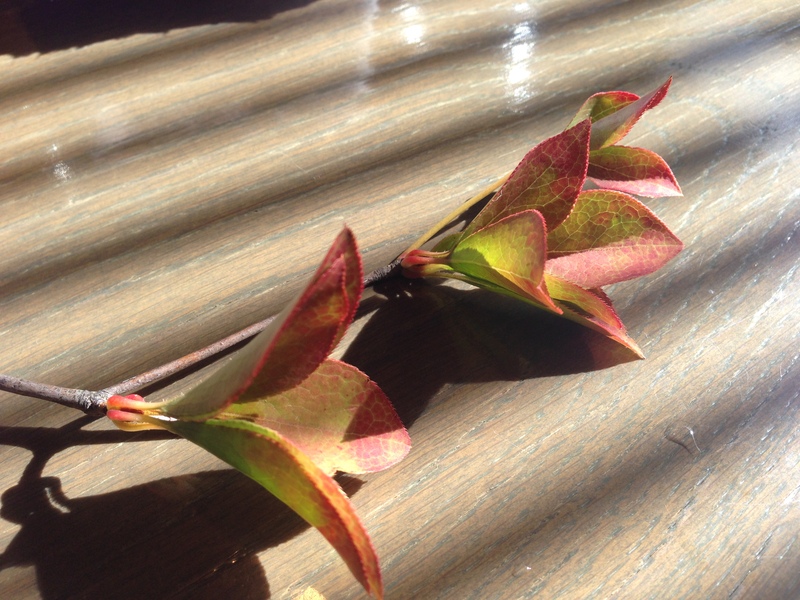 It is very popular in Japan but difficult to find outside Japan. The restaurant we visited was a small one, accommodating only 8 guests. 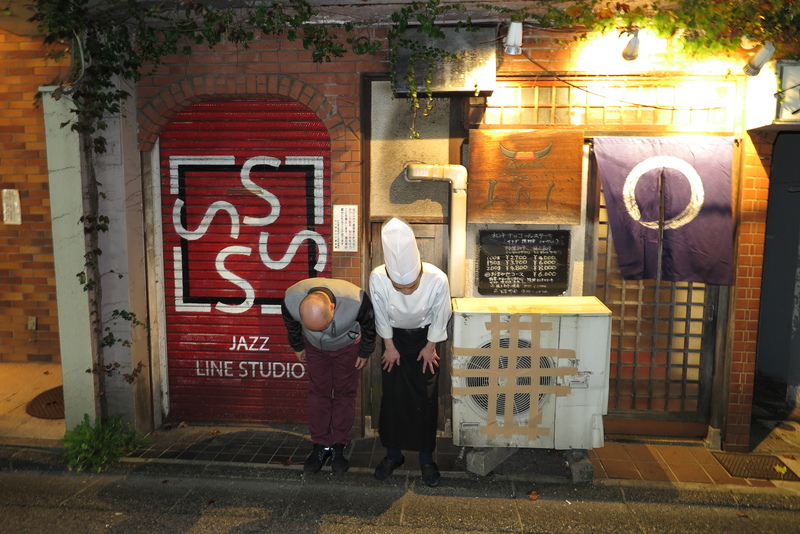 It was an excellent experience and it is something everyone should try before leaving Japan. After dinner, we took a taxi back to the hotel and I was in my room by 7.30pm. 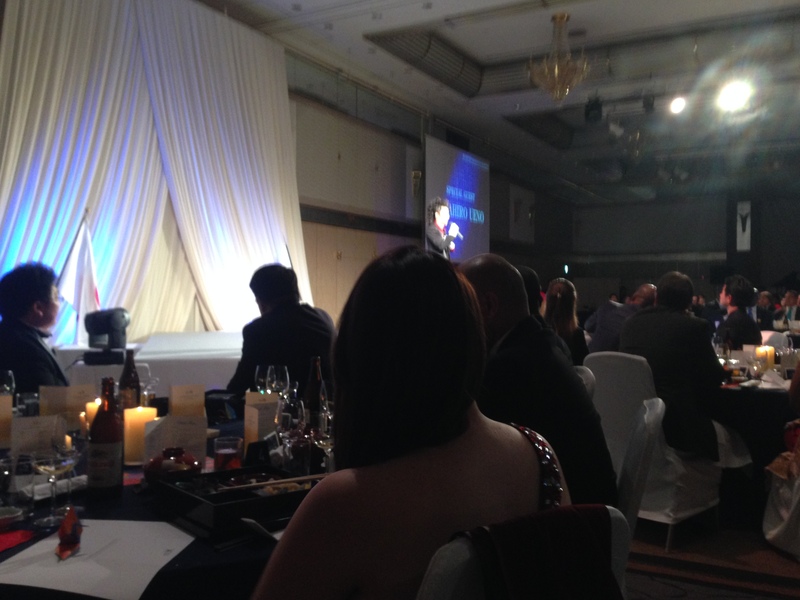 I immediately changed my clothes for the gala dinner, hosted by the JCI Japan Presidency at the Nikko Hotel just across the street. I sat down at the dinner table of the gala dinner just 45 minutes after finishing my first dinner of the evening with friendsJ. 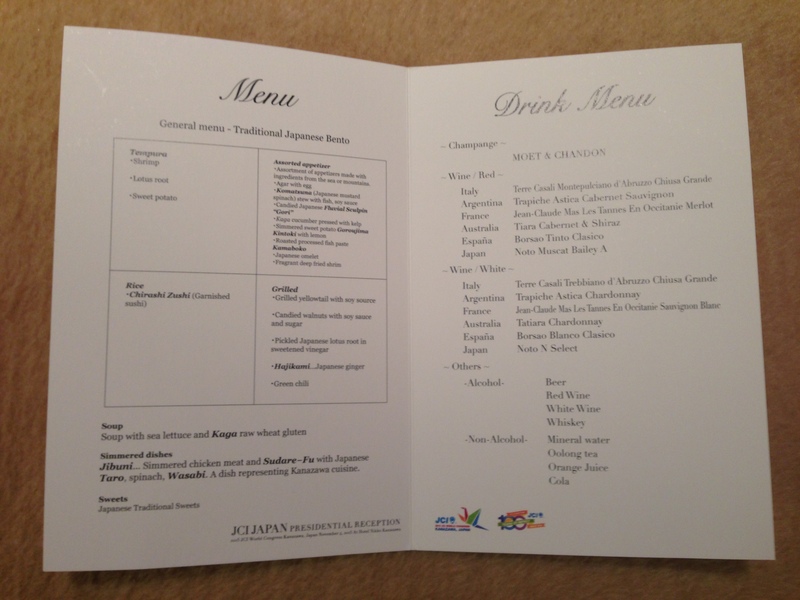 I felt very lucky because we were offered a fish and sushi menu at the gala dinner, not beef. 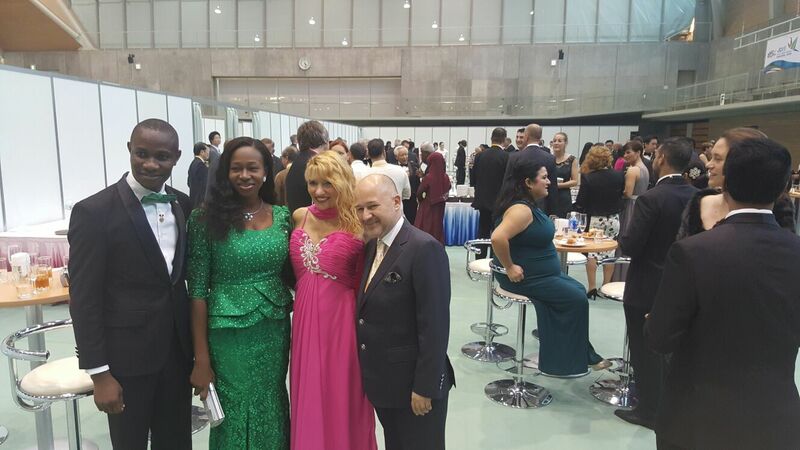 The gala dinner was wonderful, with many friends from everywhere in the world. It was a spectacular night with delightful music and different dance shows, and where we had the opportunity to see a world-famous Japanese break-dancer (I don’t remember his name). It was a huge event with over 500 guests, most of whom were presidents and board members of local JCI chapters. After the gala dinner, I went back to my room immediately because I was tired and needed to sleep. After spending a short time on social media, I slept. 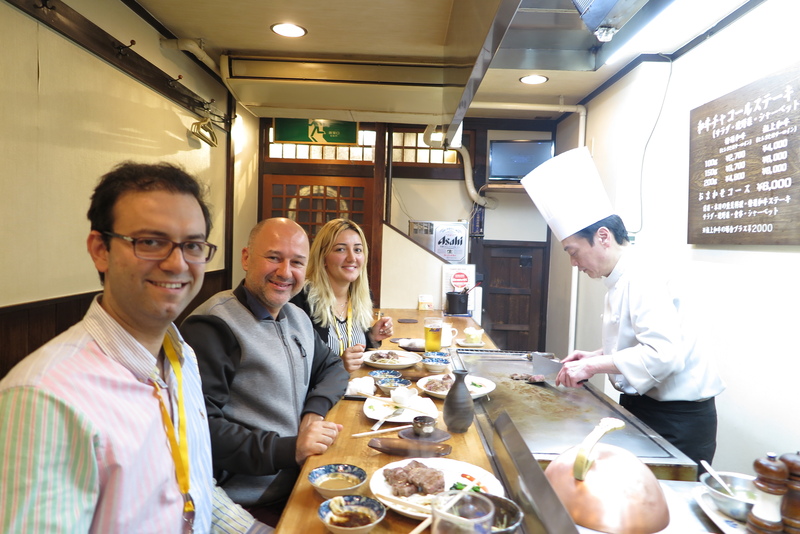 I was at the breakfast room until 10am, and Bora Bulut and Ahmet Erhan Tanyeri came to the lobby to take me to a traditional Kanazawa teahouse. But first went to the train station to buy my ticket to the Narita Airport because my return flight to Istanbul was that evening at 10.25pm. Bora Bulut is an engineer at Veritas and Ahmet Erhan Tanyeri is an academician on sociology at the Sakarya University. I enjoyed their friendship very much. 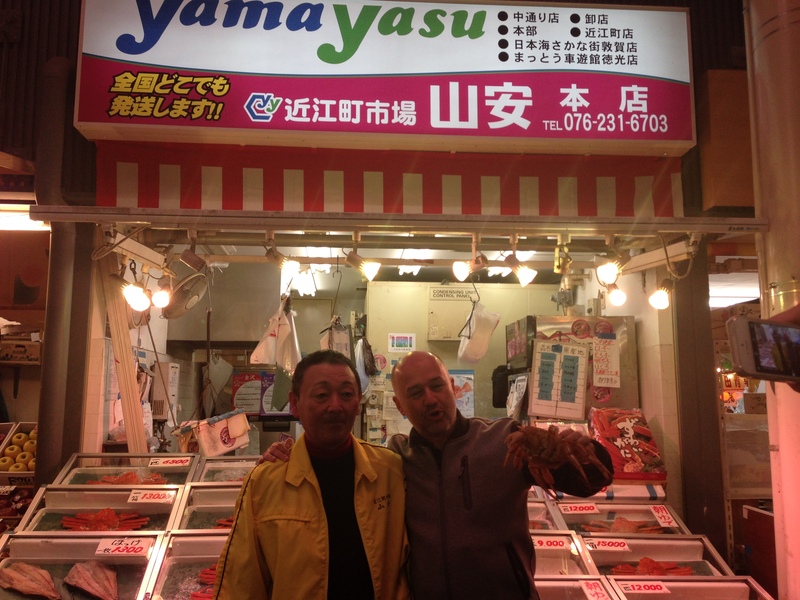 Both came to Kanazawa from Sakarya City of Turkey. Erhan is the JCI’s National President for Turkey. 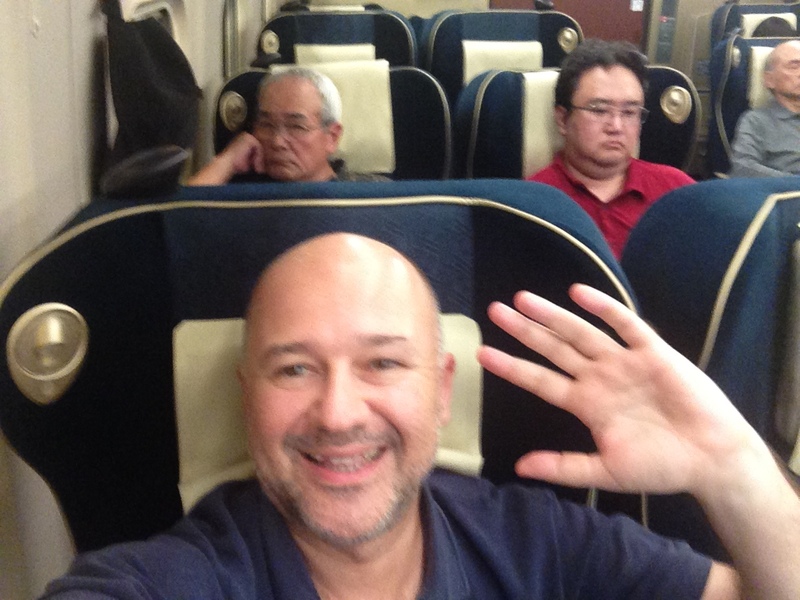 This time I found a place on a business-class service in the very-fast train from Kanazawa to Narita Airport’s Terminal 1 via Tokyo Station. The train would depart at 3.12pm so I had to leave the hotel around 2.30pm. 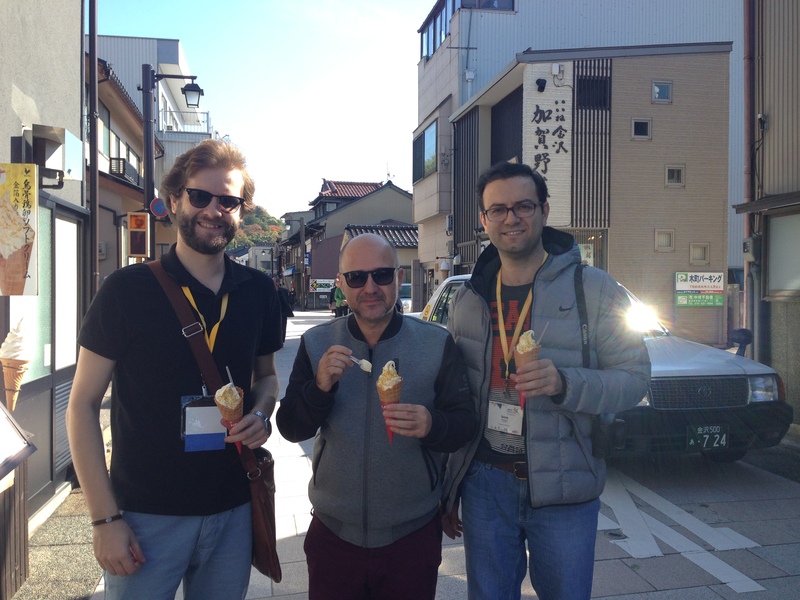 I had a plenty of time to take another short sightseeing tour in the old town of Kanazawa, where I tasted the interesting ice cream of Kanazawa (with gold pieces on it). 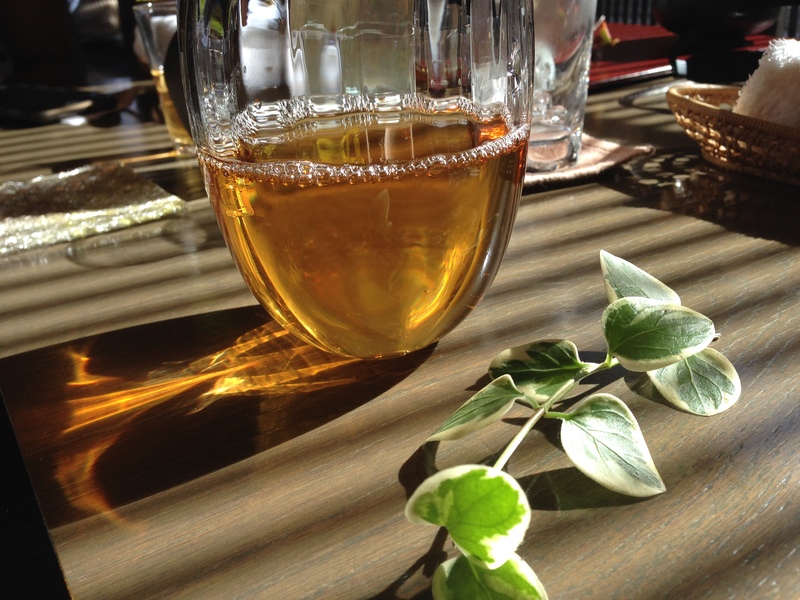 We chatted about an hour at the teahouse with Bora, Ahmet and Özgür Noyan then we left the old town around 2pm. Back at the hotel, I went up my room and took my belongings and completed the check-out procedures. Carlos was waiting for me in the lobby to say good-bye J. He is really a very lovely person and I am very happy to know him. 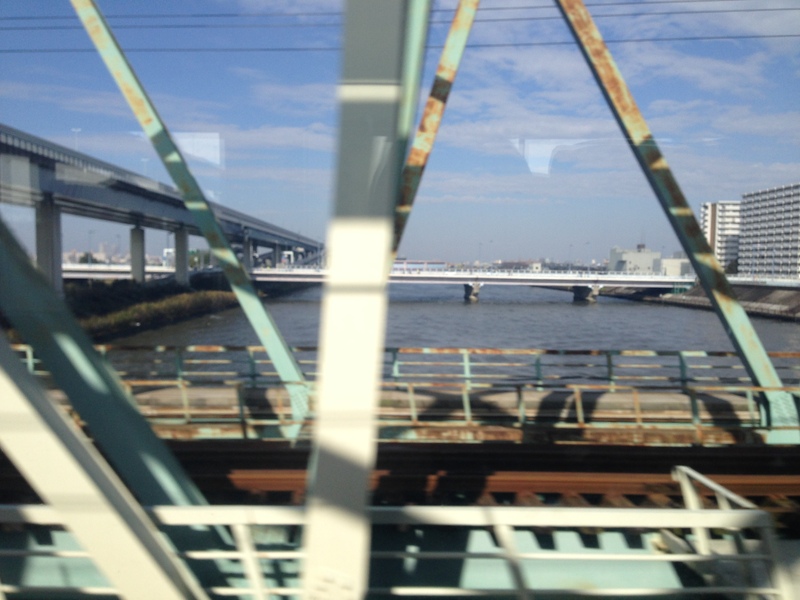 I was on the train at 3.12pm and started writing these Kanazawa notes which you are now reading. After arriving at the Tokyo station at 6.12pm, I changed trains and caught the 6.32pm train of the Narita Express, which would have me at Terminal 1 of the Narita Airport at 7.32pm. 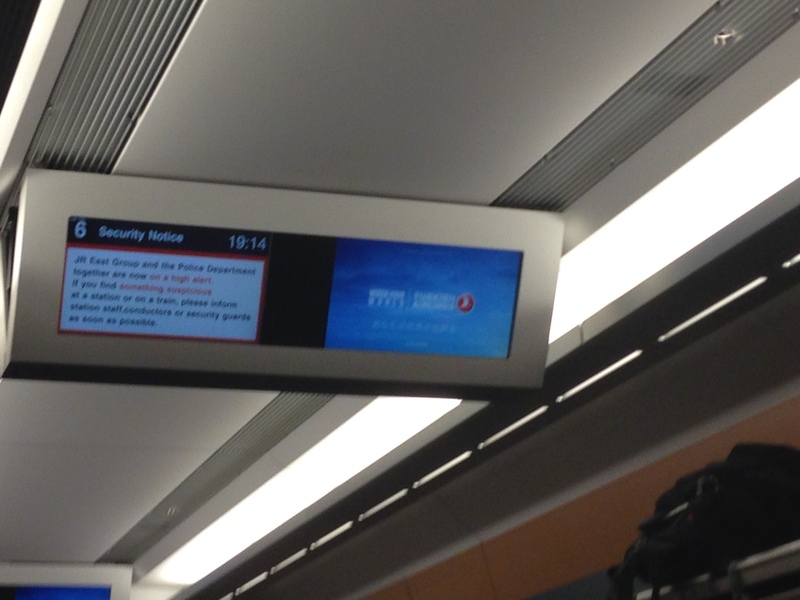 I was thinking that 7.32 pm was too early to get to the airport because my flight was not until 10.25pm. 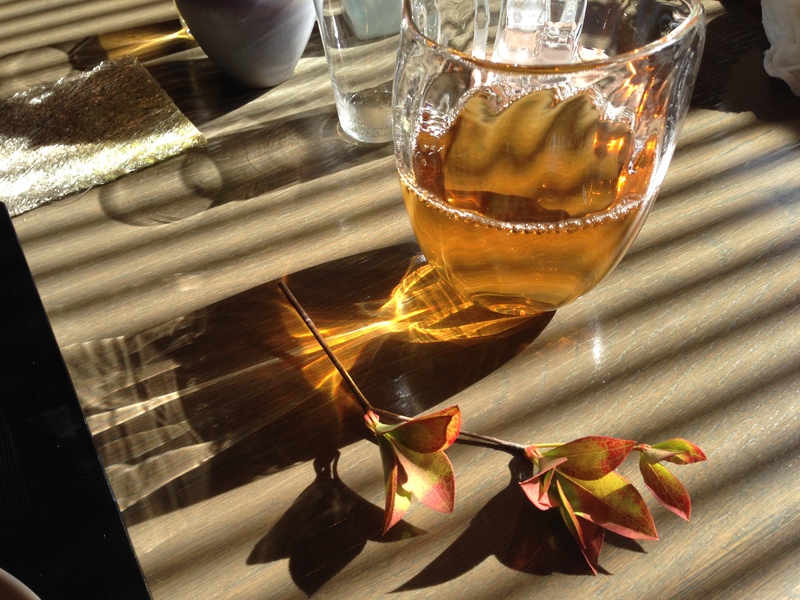 But a strange thing happened! I am used to seeing delay announcements on the boards at airports, but for the first time in my life I saw an EARLY DEPARTURE announcement. My flight was going to leave Tokyo at 10pm instead of the originally scheduled 10.25pm. That was OK for me since I was already there, but if I had arranged everything according to the 10.25 departure time, I might well have missed the flight, because I hadn’t received any notification from Turkish Airlines about the new departure time. However, Tokyo airport is a very nice airport. The staff are marvellous. I enjoyed the CIP lounge. Delicious Japanese cuisine was available at the restaurant section of the lounge. I boarded the plane at 9.30pm and now I am completing my notes (it is around 11pm now). I will now be in Istanbul by 4am and I have to sleep very well today because I have filming tomorrow and Sunday for The Weakest Link. As you may know, I host the famous BBC quiz show The Weakest Link in Turkey. This means I will be on my feet non-stop for 6 hours of filming tomorrow and 6 hours on Sunday to ask questions of the contestants. Here you can watch the episodes of The Weakest Link to have an idea about the show. BTW – I am pleased to say it is one of the most popular quiz shows in Turkey, in the first 25 most-watched programmes. 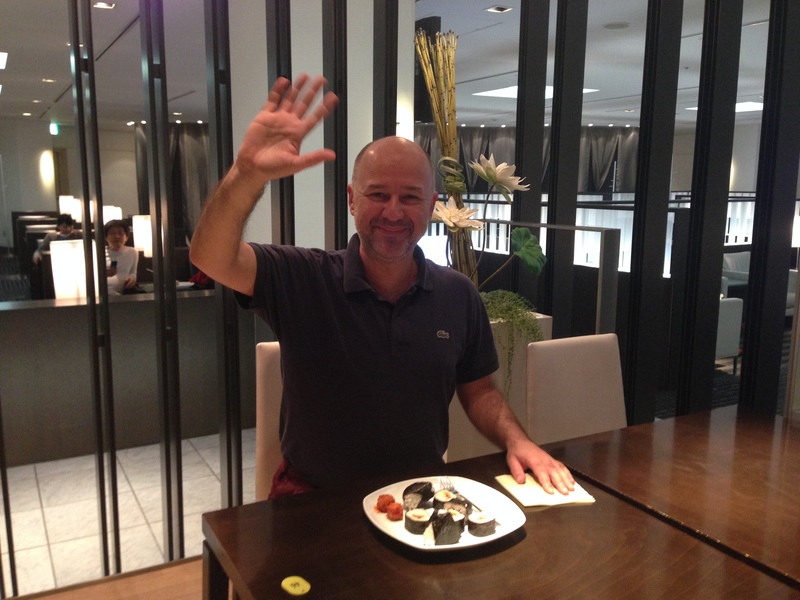 I’d like to end my Kanazawa notes by giving a big thanks to Ismail Haznedar, JCI Global President, and to Array, Carlos and Ece for all their hospitality in Japan. Congratulations go to the JCI Japan team. 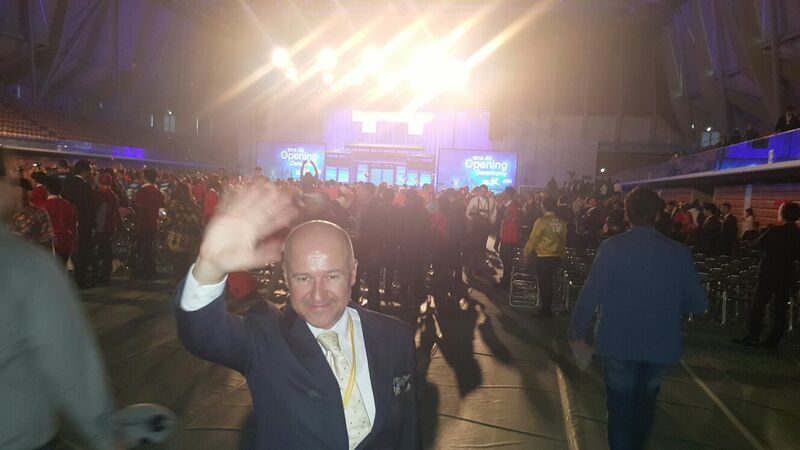 It is not at all an easy task to gather 8000 people from 150 countries in the same week. After witnessing and enjoying the energy of JCI community at this annual congress, I feel even more responsibility towards the world the JCI envisions.